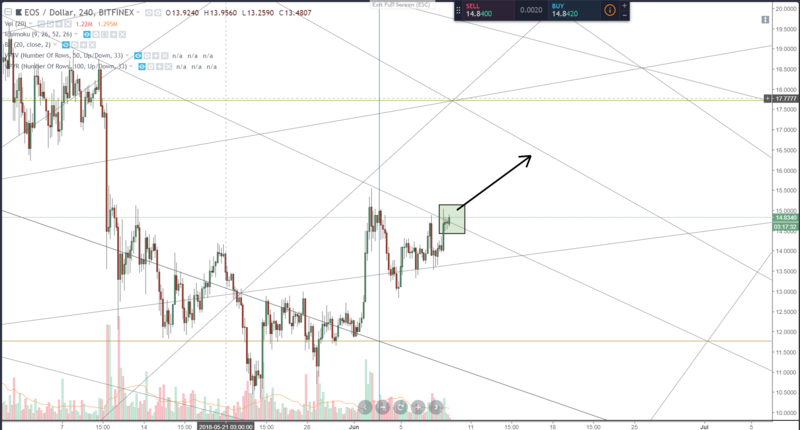 A real quick update here on a trade I’ve been monitoring, possible breakout of EOS in the Square of 90. Following Gann’s Rule of Angles, when price breaks and closes an angle, it will move to test the next. EOS is approaching an angle break AND the break of a downtrend structure. Great entry here at 14.83.